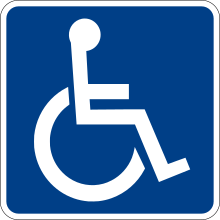 Unmeaht (on Nīƿenglisce hātte "disability") is brād ƿord þe is fram þǣre Ƿorulde Hǣlðe Þēodnesse in Nīƿenglisce þus tōmearcod: "Disabilities is an umbrella term, covering impairments, activity limitations, and participation restrictions. An impairment is a problem in body function or structure; an activity limitation is a difficulty encountered by an individual in executing a task or action; while a participation restriction is a problem experienced by an individual in involvement in life situations. Thus disability is a complex phenomenon, reflecting an interaction between features of a person’s body and features of the society in which he or she lives.'" Þes traht is aƿended fornēan þus: "'Unmeaht' is brād ƿordgemeare, begangende ƿanunge, gemǣtgunga macunge, and dǣlnimunge gehaftunga. Ƿanung is ƿōh līchāmlices ƿeorces oþþe timberes; gemǣtung macunge is earfoþ on gelǣstunge ǣrendes oþþe macunge þe is gefēred fram menn; ac dǣlnimunge gehaftung is ƿōh þe is gefēred fram menn on steallum līfes. Þæs is unmeaht manigfeald þing, þe ēoƿaþ efenƿeorc betƿeox þǣm mearcum menn līces and þǣm mearcum þæs drohtaðes þǣm þe man ƿunie.'" Þēah þe hit ƿordlīce mǣnþ ǣnig þing on þǣm þe mann nis cræftig, hit is oftost gebrocen tō ƿorde tācnende ungeƿunelica oþþe ungecyndelica unmeahta. Man nīwanost wende þisne tramet on þǣre 00:38 tīde þæs 22 Hrēþmōnaþ 2018.